Home of the Sessions Podcast….established 2008. I’ve spent most of this weekend listening to those soppy buggers The Carpenters. They have undeniably written some timeless pop classics, and they’re a bit of a guilty pleasure I think; I know it’s not cool to like them, but I like them nonetheless. Alternatively, I’ve found youtube videos of all of the tracks. Tea-drinking, olive-munching electronic music enthusiast from the United Kingdom. This entry was posted in music and tagged Calling Occupants Of Interplanetary Craft, carpenters, Goodbye To Love, I won't Last a Day Without You, It's going to take some time, karen carpenter, Rainy Days & Mondays, richard carpenter, solitaire, superstar, the carpenters, ticket to ride, We've Only Just Begun, Yesterday Once More. Bookmark the permalink. 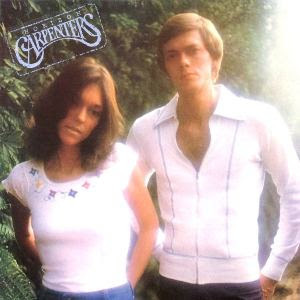 yeah, as un-cool as it seems, the carpenters were very very special.